There is a very bright future for the tax preparer who makes a great decision to become the Tax Services Specialist of the future. 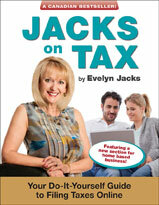 But, to offer the best advice in that regard, tax specialists must have more than precise technical skills. To go beyond the filing of returns and move their offering to a specialized service model, advisors must be prepared to spend more time nurturing their relationships with a multi-stakeholder professional team; that is, with all the people involved in maximizing the client’s personal and financial goals, over the long term. To accomplish this, the soft skills matter. Tax specialists must have excellent communications skills. In providing high-value advice at crucial financial times, they act as an articulate tax educator, both verbally and in writing, to take their individual client and, where required, the family as a whole, on a journey to continued financial health. Tax specialists excel at conducting thorough interviews, not just during tax season, but by making a point of meeting the client more often: before, during and after significant lifecycle events. The result is a relationship built on trust, and a trusted advisor has the privilege of obtaining all the information required to make the most informed recommendations, even at the most difficult times in life: when there is great loss due to relationship breakdown, illness or death. Tax specialists are also advocates for their clients. They position themselves to be the “go to” financial advisor throughout a lifetime of personal and financial events. They coach their clients always to ask themselves the following question: “Is there a tax consequence to the decision I must make?” If the answer is “yes” or “maybe,” the right action is to seek advice. In doing so, clients and advisors can improve long-term, after-tax results as joint decision-makers supported by a multi-stakeholder team. The bigger the financial decision, the more important this “pre-consultation” is. Perhaps most important, tax specialists represent their clients with confidence and professionalism to the tax department, whether during an audit or in adjusting previously-filed returns. This is possible because they know how to research relevant tax law, understand how it is administered by CRA and what the outcomes of recent jurisprudence have been. In fighting for their clients’ Taxpayer Rights, tax specialists are also highly adept at applying relevant tax provisions to all the previously-filed returns CRA may select for audit, thereby matching the “hindsight” CRA brings to the audit process with skillful precision. Because they are passionate about making sure their client pays only the correct amount of tax and no more, tax specialists see themselves as stewards of hard-earned family wealth. Tax efficiency, in other words, really matters. Where do other advisors from the financial services fit in? By working with a tax specialist, financial advisors make sure there is no “tax gap” in the investment strategy and process developed for the client. By following a common strategy, tax-efficiency becomes part of the investment decision-making that occurs throughout the year. Quite possibly a tax specialist, too, this professional works alongside the tax specialist to make sure the planned-for results are achieved. Educator, advocate and steward: that’s the three-part role of the tax services specialist. Working together with financial advisors to deliver on a Real Wealth Management strategy, this new brand of tax professional brings tremendous value in the evolving tax and financial services industry.